The new 2017 Jeep Renegade Latitude 4×4 has plenty of attitude. It combines great looks with outstanding capability and smart technology, all in a smaller city-friendly package. 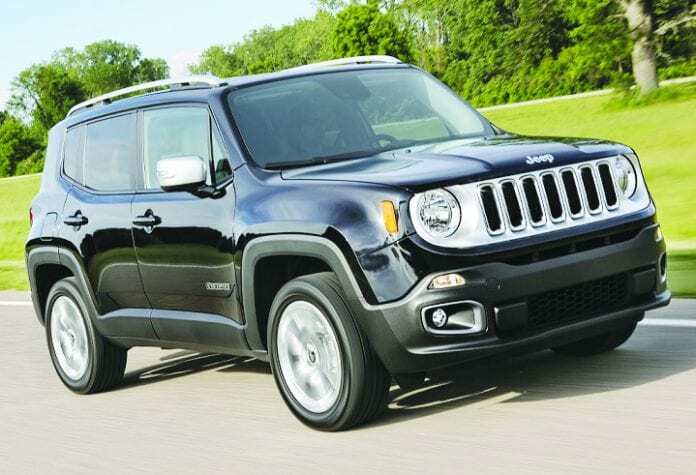 Backed by a standard 1.4L Multiair® Turbo engine with a six-speed manual transmission, the 2017 Renegade Latitude keeps you moving forward. Choose from three different wheel options and enjoy standard features like automatic halogen headlamps, Electronic Stability Control25 and 60/40 split-folding rear seats. Your journey is set; all you have to do is pick a destination. The PARKVIEW® Rear Back Up Camera16 allows the driver to park and back out with confidence. This system displays a rearview video image with dynamic distance gridlines when the vehicle is shifted into reverse and it’s one of the standard features with the Latitude. Latitude’s 16-inch aluminum wheels allows drivers to extend their reach with wheels and all-season tires. Washington cloth seats in black with matching accent stitching and Jeep® mesh cloth inserts are standard on the Renegade Latitude. Moroccan sun accents highlight the vents, speakers, cup holders and shifter. And another cool feature is the Capless Fuel Filler, which makes refueling a breeze. There is less chance for gas smell on your hands and you’ll never leave the fuel cap behind because there isn’t one.